Welcome to Kameleoon API! 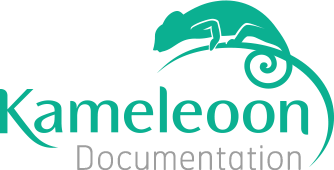 This API will allow you to use every entity of Kameleoon application inside your own application. Find the full list of the supported functionalities on this page. Create temporary token using username and password from request body. Expiration in 1 hour. Create a site with default values. The site url. Must start from http:// or https://. Get the informations of a site. Site ID is required in the URL. Get the list of customer sites. Update the information of a site. Site ID is required in the URL. Delete a site. Site ID is required in the URL. Disable kameleoon.js on a site. Site ID is required in the URL. Enable kameleoon.js on a site. Site ID is required in the URL. Create a experiment on a site with default values. Site ID is required in the URL. Get the information of an experiment. Experiment ID is required in the URL. Get the list of experiments for a site. Site ID is required in the URL. Update the information of an experiment. Experiment ID is required in the URL. Id of Targeting Segment to bind with Experiment. Part of audience go by main reference. Part of audience go by variation with id=variationId. Get the results of an experiment. Experiment ID is required in the URL. Variation id. "reference" - case for absence of any variations. Relative improvement over absence of any variations, computed as the ratio of conversionRate values minus 1. Conversion rate, computed as conversions/visitors for this variation. Number of site visits for this variation. All conversions during the test. Visits who have converted the goal. Export experiment results to csv file. Delete an experiment. Experiment ID is required in the URL. Create a variation on an experiment. Experiment ID is required in the URL. Is js code applied after DOM ready. Get the information of a variation. Variation ID is required in the URL. Get the list of variations for an experiment. Experiment ID is required in the URL. Update the information of a variation. Variation ID is required in the URL. New css style for variation. Set true if code applied after DOM ready. Delete a variation. Variation ID is required in the URL. Create a goal on a site. Site ID is required in the URL. Get a goal. Goal ID and Site ID are required in the URL. Get the list of goals associated with a site. Site ID is required in the URL. Update the information of a goal. Goal ID is required in the URL. Delete a goal. Goal ID and Site ID are required in the URL. Create a targeting segment on a site. Site id is required in the URL. Array of booleans ("or"=true, "and"=false) for binding secondLevel outer conditions. Array of JsonObjects with outer conditions. Boolean ("or"=true, "and"=false) for binding secondLevel inner conditions. JsonArray with secondLevel inner conditions. Targeting condition type. According to this field it's necessary to add some additional fields as shown below! Accordance between requested URL and URL template. More important conditions have greater values. Is include if match this condition? Accordance between page title and title template. Accordance between requested URL and landing URL template. Accordance between visitors origin URL and referring website URL template. Accordance between visitors search word and keyword. Browser language code in ISO 639-1. Accordance between previous page URL and URL template. Days elapsed since first visit. Days elapsed since last visit . Seconds elapsed since session became active. Seconds elapsed since page load. Number of visits for day. Goal that have reached by visitors. Since date. Date format: dd/mm/yyyyThh:MM. To date. Date format: dd/mm/yyyyThh:MM. Since time. Time format: hh:MM. To time. Time format: hh:MM. Run js code after DOM ready or immediate? Wait while DOM is ready. Accordance between visitors cookie name and cookie name template. Type of element on the page. Element on the page (id, class, ...) if elementType is SINGLE. Key pages that have visited visitors. Get the information of a targeting segment. Segment id and siteId are required in the URL. The segment id and siteId are required in the URL. Only targeting conditions will be updated. For more description see 'Create TargetingSegment' section. Delete a targeting segment. Segment ID and Site ID are required in the URL. Get the list of targeting segments for a site. Site ID is required in the URL. Create a personalization on a site with default values. Site ID is required in the URL. Get the information of a personalization. Personalization ID and Site ID are required in the URL. Get the list of personalizations of a site. Site ID is required in the URL. Update the information of a personalization. Personalization ID and Site ID are required in the URL. Targeting segment id for binding with personalization. if true exposition frequency functions will be reseted. Delete Personalization. Personalization ID is required in the url.